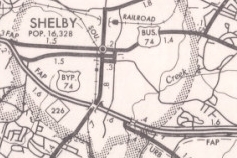 The oldest active US 74 Business was born in 1960 as a replacement for US 74-A through Shelby. Per NCDOT documents, from Shelby westward, the route was split into US 74 Business east (Warren St) and US 74 Business west (Marion St). 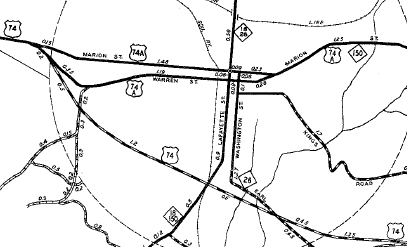 In Dec 1971 (NCDOT), the US 74 Business east segment was rerouted to turn north on DeKalb St to Marion St. Both Marion St and Warren St are two-way traffic. 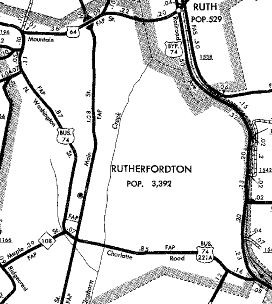 The 2nd US 74 Business was created 1960 as a renumbering of US 74-A through Rutherfordton. 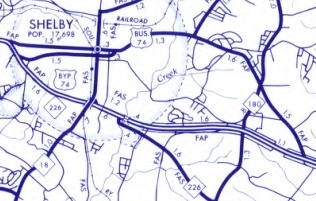 In Dec 1970 (NCDOT), US 74 Business was extended east through Spindale, Forest City, and Ellenboro when US 74 was placed on new freeway. 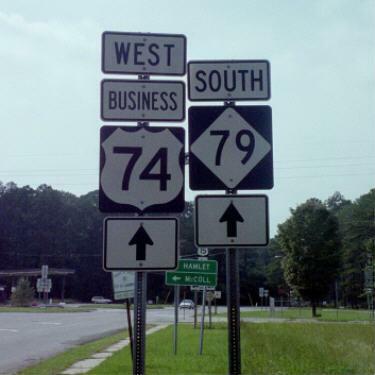 US 74 Business' west end is now US 74-A. 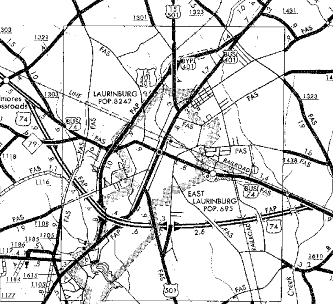 The 3rd US 74 Business was created about 1967 as a renumbering of mainline US 74 through Laurinburg. 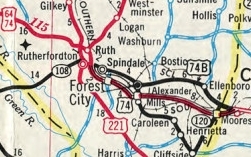 About 1985, US 74 Business was extended east replacing US 74 through Maxton. 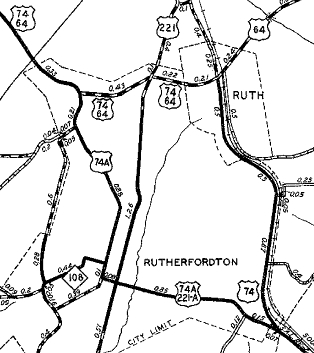 The The 4th US 74 Business was created about 1975 as an addition to NC 130 through Chadbourn and a renumbering of mainline US 74 through Whiteville (there was a brief period where US 74-76 was temporarily using SR 1435 Union Valley Rd with the bypass of Chadbourn only). 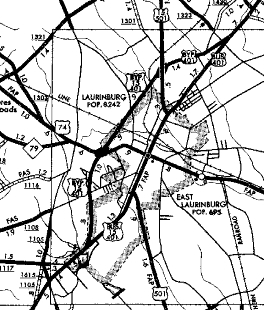 The 5th US 74 Business was created in 1983 or 1984 when US 74 was placed on its freeway bypass of Kings Mountain. 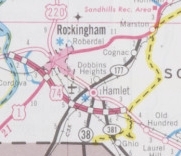 The 6th US 74 Business was created in late 2000 (Steffora) when US 74 was placed on a new freeway bypass of Rockingham and Hamlet.